If you provide us with a sample of your rain measureing cylinder, our expert team of craftsman can replicate your deisgn at very competitive prices. 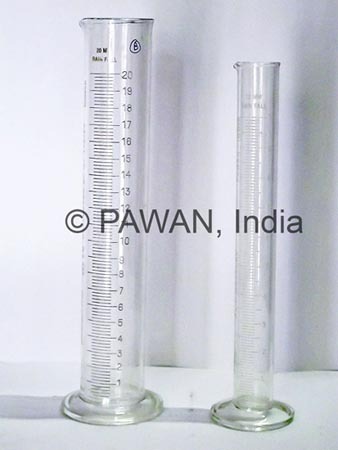 PAWAN offers high quality thermometers with both spirit alcohol and mercury as the medium. Please contact us with your requests along with specifications. Miscellaneous Items: Twines for Meteorological Balloons, Chinese Lanterns for night time Pilot Balloon(PIBAL) observations etc. * If your product is not listed on this page, please contact us and we may be able to arrange the same for you. Online Store. Shipped by EMS Post. Available for USA, UK & limited countries in EU. Contact us for delivery to other countries. Fed/TNT/DHL options available. 2000 gm Meteorological Balloon, CPR-2000. 1200 gm Meteorological Balloon, CPR-1200. 30gm Pilot Balloons PR-30 Red. Pack of 100 balloons, $320. 150gm Meteorological Balloon for Tethered Flights in Green or Orange colour. Pack of 10 balloons, $110.